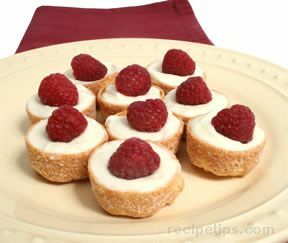 Using an electric mixer, beat the cream cheese, sweetened condensed milk, lemon juice, and vanilla until smooth. Add the egg and beat on low speed just until combined. Arrange the raspberries on the bottom of the prepared piecrust. Slowly pour the cheesecake mixture over the fruit. 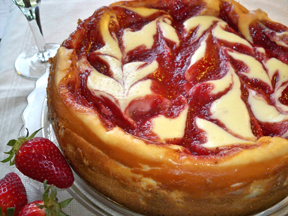 Place the cheesecake on a baking sheet and bake at 350ºF for 30-35 minutes; then allow to cool. In a small saucepan, combine the baking chocolate and whipping cream. Cook and stir over low heat until thickened and smooth. 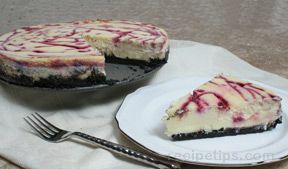 Remove the chocolate mixture from the heat, cool slighly, and then pour over the cheesecake. Chill the cheesecake. Garnish with fresh raspberries prior to serving.